Donna D’Aquino (b. 1965 in Newburgh, NY) is a studio jeweler and metalsmith. She is most known for her minimal wire bracelets and brooches, which are often coated in a plastic dip to add color. The jewelry is meant to be worn but also can be hung on the wall. She received her BS from the State University of New York at Buffalo and her MFA from Kent State University. She taught at the university level for a few years but now is committed full time to her jewelry business. 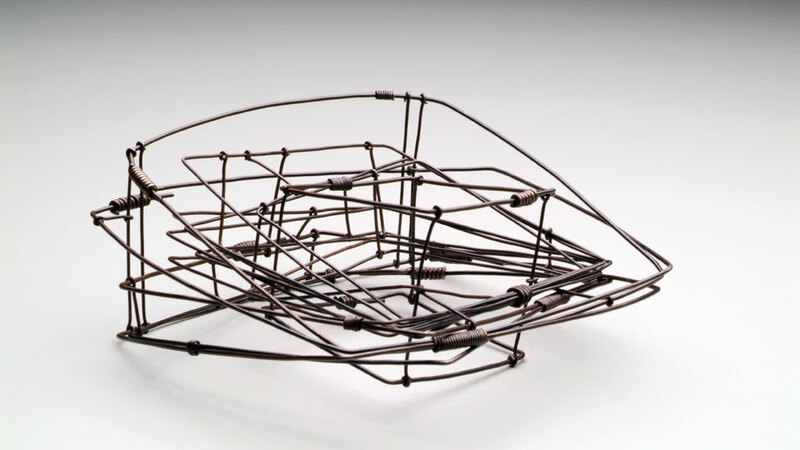 Her work has been exhibited nationwide and can be found in the collection of the Museum of Contemporary Crafts in Portland, Oregon.